I apologize for the delay in page updates once again, folks--as you know, it's about Chrstmas time. I'll have the next page ready for Christmas Eve morning this weekend. In the meantime, here is a picture of Clink City itself. 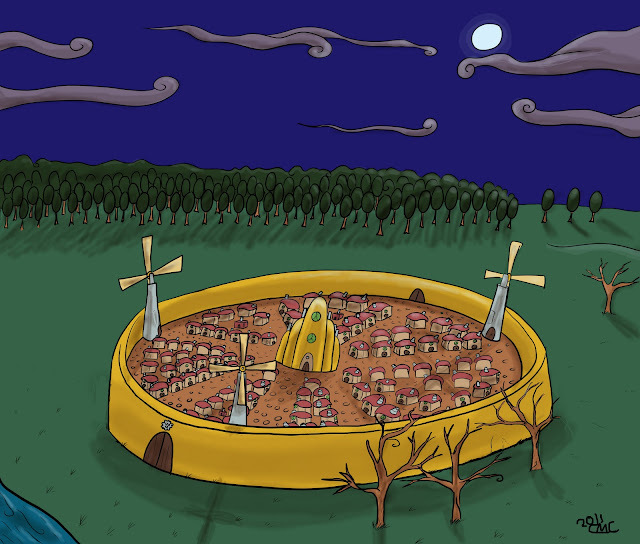 It's worthy to note that Clink City does appear a little differently in the comic (The windmills in particular are differently designed), but for the most part, the colour scheme is the same. Anyway, happy holidays. I'll wish you all a merry Christmas this weekend.